MainAll NewsInside IsraelIsrael to annex Maale Adumim? 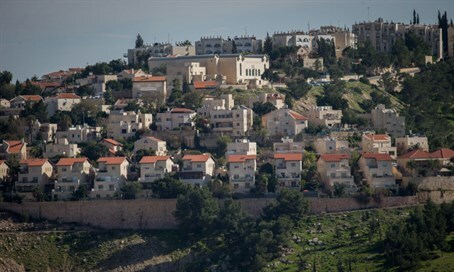 Israel to annex Maale Adumim? 78% of Israeli Jews favor extending Israeli sovereignty over Maale Adumim. Land of Israel Lobby to propose annexation bill this summer. A wide majority of Israeli Jews, including those both on the left and right, favor full Israeli sovereignty over the city of Maale Adumim, according to a new poll conducted by the Midgam polling firm. A whopping 78% of Israeli Jews say they support the annexation of Maale Adumim even without a final status agreement with the Palestinian Authority, along the same lines as Israel’s 1981 annexation of the Golan Heights. The vast majority of respondents favored annexation even if Israel would be pay a steep political cost for the move, with 70% of Israeli Jews saying sovereignty should be applied to Maale Adumim regardless of the consequences. The poll also found that 88% of Israeli Jews believe that residents of Maale Adumim deserve the same rights and benefits enjoyed by other citizens of the State of Israel, and therefore Israeli law should be fully applied to the area. The Land of Israel Lobby in the Knesset, which includes 20 MKs from various right-wing and religious parties, has pledged to draw up a bill for the annexation of Maale Adumim during the upcoming summer session. Lobby chairman Yoav Kish (Likud) said there were precedents for the move, citing Israel’s 1967 annexation of eastern Jerusalem and 1981 annexation of the Golan Heights.